Prominent & Leading Exporter from Ambala, we offer loading capacitor bank, single phase loading inductor bank, earth resistance by fall of potential method, calibration of wattmeter by dc potentiometer, solar energy kit and solar water heater. These are used to improve the Power factor of an electrical system, resulting in more efficient utilisation of electrical energy. Cabinet:A thick bakelite panel is mounted on the front side of Unit. All the components (Controlling switch, selector switches, fuses and terminals etc.) are fitted on the front panel. The live section of the unit is completely insulated from the body to avoid electric shock during operation. The unit is treated with premier and non corrosive powder coating. Construction Data : These are wound with dual coated H-class copper wire and silicon steel transformer grade lamination are used for minimum iron losses. Each inductor is vacuum impregnated treated with insulated varnish and oven baked for protection against moisture and prolonged used effects. To provide rigidity & Durability, the loading inductors are designed with fixed steps. The fixed steps are precisely calibrated and provide accurate reactive loads. Cabinet : A thick bakelite panel is mounted on the front side of unit. All the components (controlling switch, selector switches, fuses and terminals etc. )are fitted on the front panel. The live section of the unit is completely insulated from the body to avoid electric shock during operation. The unit is treated with premier and non corrosive powder coating. • One No of Inbuilt power supply of range 0-12V DC / 2 ampere. • Three No. of spoke' made of copper 10mm thick & 750mm long with high density polypropylene handle. • In built power supplies 0-12V DC /1A, 0-75V DC/200mA, 0- 3V DC/200mA and 1V DC/ 200mA. For current source, voltage source, working current source and as standard cell respectively. • Two number of Digital Panel Meter for current measurement i.e. A1 and A2. • One number of Digital Panel Meter for voltage measurement i.e. V.
• One number of Digital Panel Meter for galvanometer purpose i.e. G.
• Circuit diagram on front panel with input and output sockets. Voltage ratio box of range 300 /150/30/15/1.5 with ratio 1:5. 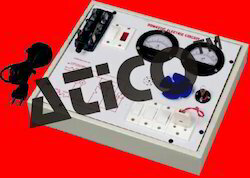 • AC / DC Wattmeter of range 0-37.5Watts. • Singlepoint (4mm) Patchcords for Interconnections. • Patch cords (4mm) Banana Plug & otherside Open. 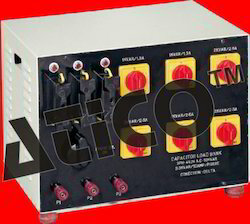 • Voltage Ratio Box of range 300/ 150/ 30/ 15/ 1.5 with ratio 1:5. • Potentiometer Ten wire with sunmica base. • Rheostat of Range 0-20 Ohms/ 1Amp. 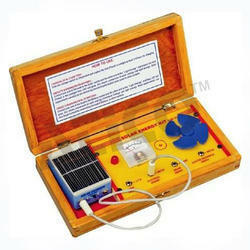 This kit is to demonstrate the effect of solar energy and its ability to be converted into different form of energy like storage of energy, electrical energy, light energy, sound and electromechanical energy .All the gadgets provided can be operated with charged battery as well as directly with the solar panel also. 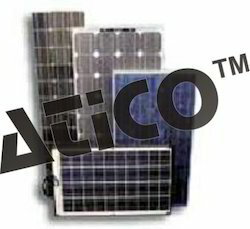 Solar kit is provided with NI-CD cells (2) with holder, solar panel with lead, a motor fan, music chip, an LED and small voltmeter, all are fitted on base enclosed in wooden case . 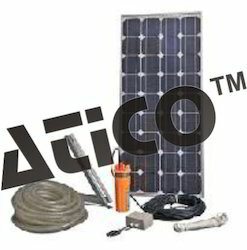 Solar water heater is device used for heating water by using solar energy. When sun rays falls on to the black coated copper pipes, which are arranged in a box covered with a glass sheet and they absorb sunlight efficiently and the hot water from the pipe is collected in tank. Kit is provided with water tank, tank stand, funnel thermometer and solar water heater (plate collector).size collector approx 10x10x1 and water tank capacity approx 2.5ltr. Safe & Simple-to-use encapsulated mini-panel. Create various experiments by exposing and positioning the panel to the energy source. All mini panels are tested VOC (voltage open circuit), ISC (current short circuit), using one full sun condition PV panels can be joined together in series or parallel to produce higher voltages or ampearages. A complete demonstrative unit with schematic diagram that demonstrates how connections/wiring is made in our houses and also demonstrate that how the energy can be saved using solar energy. The unit is operating on low voltage DC. All the components fuse, indicator, on/off switches, fan, bell, lamp and two DC moving coil meters are fitted on bakelite sheet. A knife switch is provided to changeover the Solar Panel voltage. 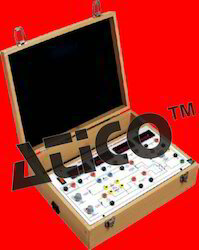 Looking for Training Modular for Electrical Engineering Lab ?